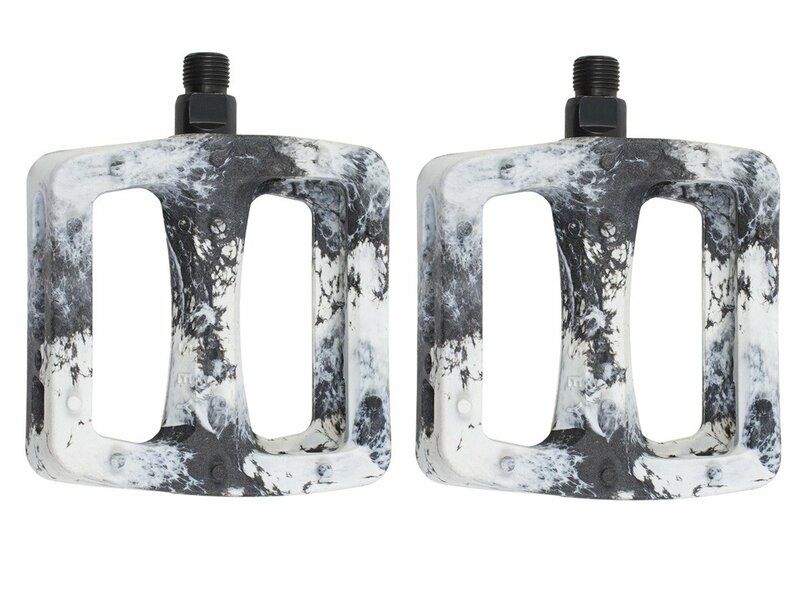 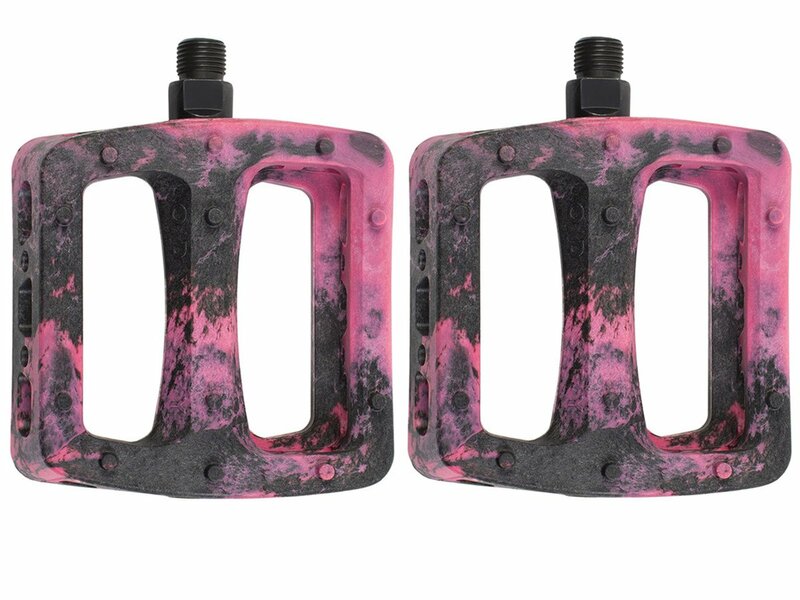 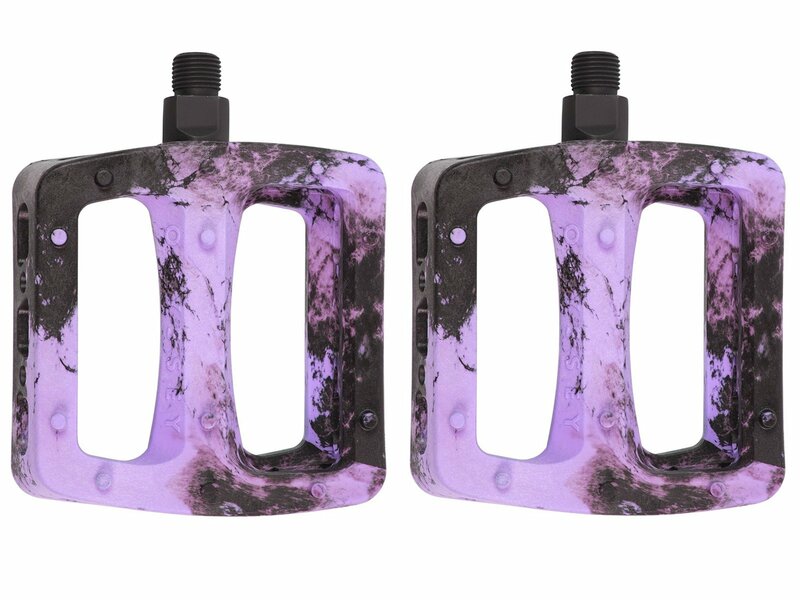 The Odyssey BMX "Twisted Pro" Pedals - Swirl Colors are based on the original Odyssey "Twisted" pedals but offers a significantly larger body shape, slimmer height and more concave while still being built around a traditional loose-ball bearing configuration. 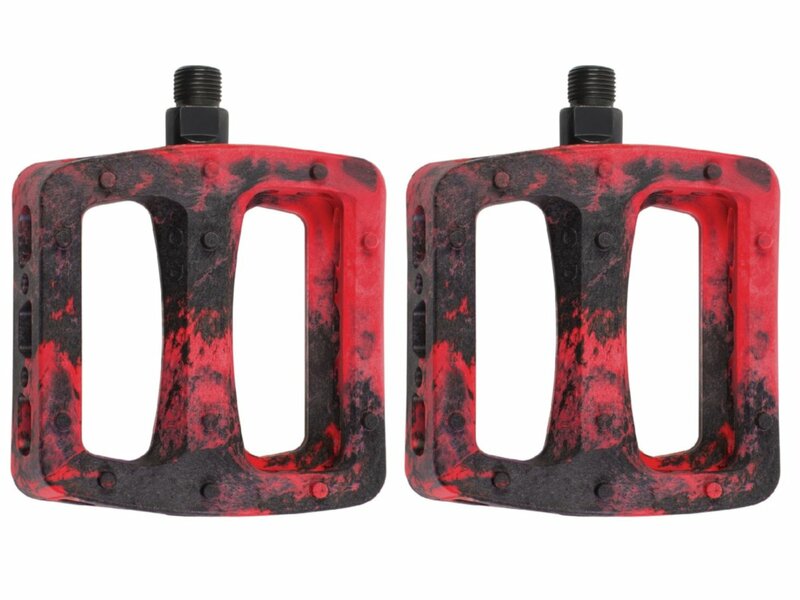 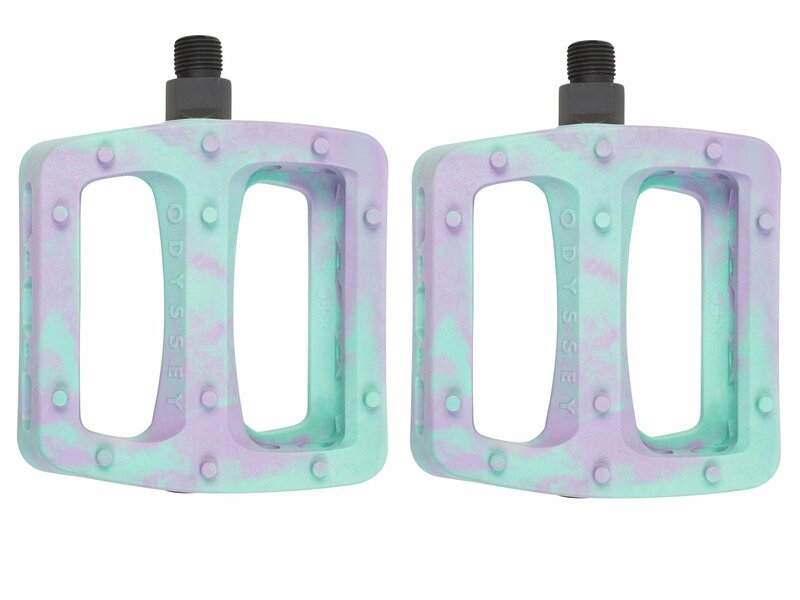 The Odyssey BMX "Twisted Pro" Pedals - Swirl Colors are designed with a nice and comfortable platform design but also a great price / performance ratio makes them being one of the most famous plastic pedals on the market. 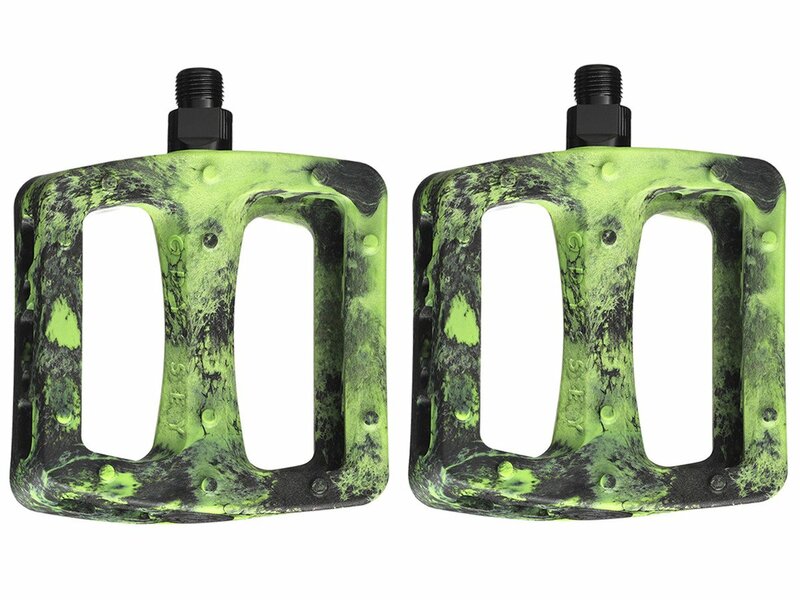 The Odyssey BMX "Twisted Pro" Pedals - Swirl Colors are equipped with a strong and durable CrMo axle and the plastic pins ensure a secure grip.